"SE" redirects here. For the type of promotional release, see Special Edition. A Secret Rare (シークレットレア Shīkuretto Rea, or simply Secret) card is identified by having a holographic rainbow card name and by the artwork having a unique holofoil known as parallel holofoil (named due to the parallel dot effect on the image). With the release of Duelist Revolution, the parallel dot effect has become much sharper and the spacing has become smaller. On first edition printings and some collector tins the foil on the letters of Secret Rare cards sometimes "spill over", creating a thin film over the counter of the letters. This spill-over has also manifested in some Super Rare cards. In sets that are older than Tactical Evolution, Secret Rares are all either the first (#000) or last cards in a set. Since the OCG Series 4, there hasn't been a Secret Rare in OCG Booster Packs, until the release of The New Challengers, which included Secret Rare versions of Ultra Rares from the set; in the TCG there has been always at least 2 Secret Rares per pack, and since The Duelist Genesis, each pack has 8 Secrets, some of them TCG exclusive cards (like "Evolzar Dolkka"), some were cards original released on the OCG as promos (like "Metaion, the Timelord") and others were cards whose rarity was increased (like in the case of "Rescue Rabbit"). Secret Rares were discontinued after the Soul of the Duelist packs due to excessive use of electronic scales, however, they have been re-introduced in Strike of Neos. The odds of getting a Secret Rare in a Booster Pack was 1:31 before the release of The Shining Darkness, when the ratio changed to 1:23. The exceptions are the Premium Pack, Premium Pack 2 and the Hidden Arsenal Booster Packs, since the set ratio for the Premium Packs is 2:1 for Secret Rares and 3:1 for Super Rares, while in Hidden Arsenals, the set ratio for Secret Rares is 1:1 and for Super Rares is 4:1. Secret Rares are also the rarity of Collector Tin Promo cards, the Master Collection 1 and 2, and several -SE packs (e.g. EEN-ENSE). In the TCG, almost all Secret Rare cards use a diagonal foil pattern, with the exception of Prismatic Secret Rare cards. 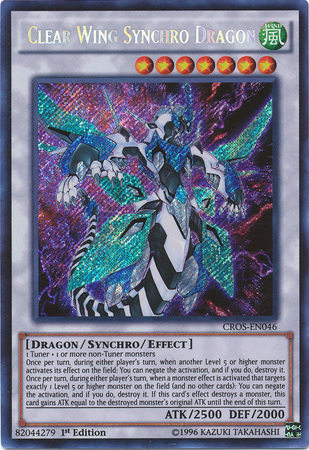 In the OCG, almost all Secret Rare cards instead use a horizontal and vertical parallel foil pattern like the TCG's Prismatic Secret Rare, except for those found in Extra Pack sets, which use the diagonal foil pattern. See also: "List of Secret Rare Cards"